The world’s largest lobster festival, The Port of Los Angeles Lobster Festival, was the 2009 winner of the Guinness World Record for the most seafood served at an outdoor event. Maine lobster meals for $20 are cooked on the spot at a scenic outdoor park along LA’s historic waterfront, and near the shops at Ports O’ Call in San Pedro. Entertainment includes dancing, street performers, a pirate camp, tall ships, shopping for arts and crafts, and musical performances by some of today’s best up-and-coming acts. 1190 Nagoya Way (310)798-7478. Americans love hot dogs and donuts. Currywurst takes a warm Long John donut made from a small local business and cuts it lengthwise. Then they top it with Chicago’s finest, Vienna hot dog and dazzle it with housemade sweet and spicy mustard and a choice of caramelized onions or fresh sauerkraut. The new donut-dog is getting rave reviews. Try one. 109 N Fairfax Ave. (323)413-2627. Try the “Four for $24 flight” at the Ritz Carlton’s WP24. Each week throughout September, the selection of featured wines will rotate to reflect a different wine-producing region. Taste wines from Napa one week, and Sonoma the next week. California’s sparkling wines will be highlights during the last week in September. While sipping on these carefully selected flights, guest will enjoy the panoramic views of the downtown skyline. After a flight, treat yourself to one of the two grape-infused treatments at the Spa. Due to rich antioxidants and bioflavonoids, grapes are known to firm skin and slow down the aging process. One spa treatment invigorates the senses with a caviar and mimosa body therapy, while the second is a wild plum and wine facial that helps brighten the skin and smooth lines. Spa treatments start at $150. 900 W. Olympic Blvd. 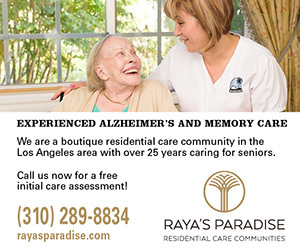 (213)743-8824. A southern-style sandwich shop, Roadside Eats, in Hollywood’s Arclight complex opens its doors today. Complimentary bags of Zapp’s Chips and (non-alcoholic) beverages will be given to guests who purchase any sandwich from 11:30 a.m. to 3:00 p.m. on opening day. Chef Northrup’s offers Carolina-style pulled pork, barbeque chicken and low and slow brisket. Additional offerings include hickory-smoked tri tip, pecan fried chicken, cajun-glazed shrimp po’ boys and fried green tomato BLTs. Any sandwich on the menu can also be ordered greens-style as a salad, with a choice of house-made herb vinaigrette or ranch. Everything between the buns is made in-house, with fixings to accompany Roadside sandwiches and salads. Open daily from 11 a.m. until midnight. Reduced-rate parking is available in the Arclight parking structure. 6374 D Sunset Blvd. Take a journey to visit the French Riviera at the Westin Bonaventure’s sixth culinary class of 2013 on Saturday, September 21. Your meal will be paired with fabulous wines. The menu includes a petite salad Nicoise, beef Bourguignon, a chickpea and olive oil crepe and a crepe Suzette. Class begins at 1 p.m. The cost of the class is $55 per person. Students must be 21 years or older. 404 S. Figueroa St. Contact Claudia Lambaren for reservations at Claudia.Lambaren@westin.com. A new tri-level venue with open-air patio drinking and dining is now open on Sunset Blvd. Pearl’s captures the mystique of the Prohibition-era with a feminine touch. Modeled after a 1920’s perfumery and jewelry store, glass encasements displaying necklaces adorned with pearls align the entryway. Windows open on to Sunset Boulevard with tables available for lunch, dinner and brunch on the weekends. Late night menus are offered daily too. Some of the signature dishes include apple and horseradish glazed wild salmon, truffled mushroom and goat cheese flat bread, and kale and red quinoa salad. Artisan cocktails with the names of historic Sunset Strip locations and figures include the Fitzgerald, Villa Nova, and The Pearl. A clandestine staircase leads to the mezzanine “secret garden” and open-air patio, creating a magical dining affair unlike any other on the Sunset Strip. The front deck boast views, an outdoor fireplace and two bars, making this a perfect location for al fresco dining. 8909 W. Sunset Blvd. (310)360-6800. There is a new Chef de Cuisine, Attila Bollok, collaborating on a new menu with celebrity chef David Myers. Inspired by Paris’ bistronomy/gastro-bistro movement, the menu officially debuted on Wednesday, September 11 and will change seasonally. Try the blue crab toast with a farm or tomato salad. Entrees include a roasted lobster or rack of lamb. Comme Ca’s 18A cocktail program will debut new libations including the Gypsy Queen, Citizen Kane and the Disappearing Act. 8479 Melrose Ave. (323)782-1104. Enjoy a two-course menu that includes French onion soup or new wedge salad with a succulent filet mignon and crab-stuffed shrimp entrée with mashed potatoes during the month of September. Guests must make online reservations for this special two-course prix fixe menu at $32.95 until September 30. Fleming’s L.A. LIVE, 800 W. Olympic Blvd. (213)745-9911, Fleming’s Beverly Hills, 252 N. Beverly Dr. (310)278-8710, Fleming’s El Segundo, 2301 Rosecrans Ave. (310)643-6911. Tortilla Republic is celebrating on Monday, September 16 and Tuesday, September 17 with tacos at $2.03 and a two-course prix fixe dinner for $20.30. The modern Mexican restaurant is open for lunch Tuesday through Friday from 11:30 a.m. to 3 p.m. Happy Hour and dinner begins at 5 p.m. on Mondays and 3 p.m. Tuesday through Sunday. 616 N Robertson Blvd. (310)657-9888. On September 13 and 14 come join the fun with a pre-Oktoberfest Olympic-style activities that include a stein-holding contest on Friday, September 13 at 8 p.m. Competitors will be required to hold a full Wirtshaus 1L beer stein in the air to see who can “hold up” for the longest duration of time. The current Wirtshaus stein-holding contest record is six minutes and 45 seconds. Friday’s stein-holding contest winner will be rewarded with a $75.00 Wirtshaus gift certificate. Wirtshaus’ Saturday evening games on September 14 will focus on food with a sausage-eating contest. At 8 p.m. the contest will run for seven minutes, with a maximum of seven entered contestants. Saturday’s sausage eating contest winner will also take home a $75.00 Wirtshaus gift certificate. Spectators and competitors are encouraged to break out their dirndls and lederhosen – for one or both evenings – to create their own friendly competition for the best, authentic Bavarian outfit. 345 N. La Brea Ave. (323)931-9291. Gail Simmons and Chef Joachim Splichal along with an array of LA’s top chefs prepare French-inspired bites paired with hand-selected, biodynamic French wines on Thursday, September 19 from 7 to 10 p.m. Dress up, donate, and dine French-style at Patina Restaurant for a food and wine kick off to benefit the Angelman Syndrome Foundation’s Dr. Joseph E. Wagstaff Postdoctoral Fellowship. Chef Josiah Citrin of Mélisse, Chef Charles Olalia of Patina, Chef Tal Ronnen of Crossroads Kitchen, Chef Brooke Williamson of Hudson House, and Chef Ricardo Zarate of Picca, Mo-chica, and Paiche. Each of the chefs’ dishes will pair with French wines provided by Gregory Condes Wines, known as “the sommeliers’ sommelier,” which distributes a unique portfolio of wines that focus on quality and geographic diversity. Finally, Valerie Gordon of Valerie Confections will round out the night with her sweet creations. Simmons and Splichal hand selected all of the evening’s participating chefs. The cost is a $150 donation per person. 141 Grand Ave. RSVP by Monday, September 16 by calling Susan Ravellette at (619)806-9118 or go to www.secure.angelman.org/campaign/getfrenchy.com.